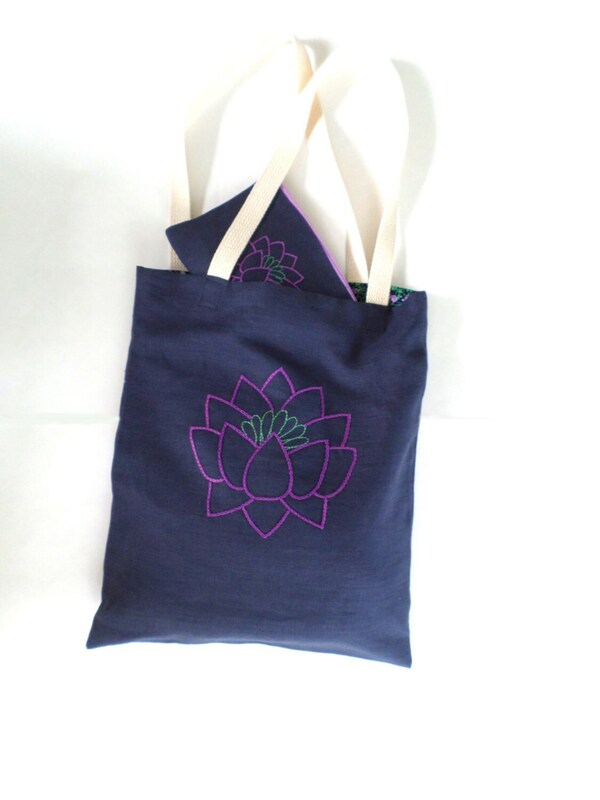 Handmade Linen Lotus Flower Purse : hand-embroidered, unique, navy blue linen handbag, matching tote bag set, wallet, clutch, zipper pouch. 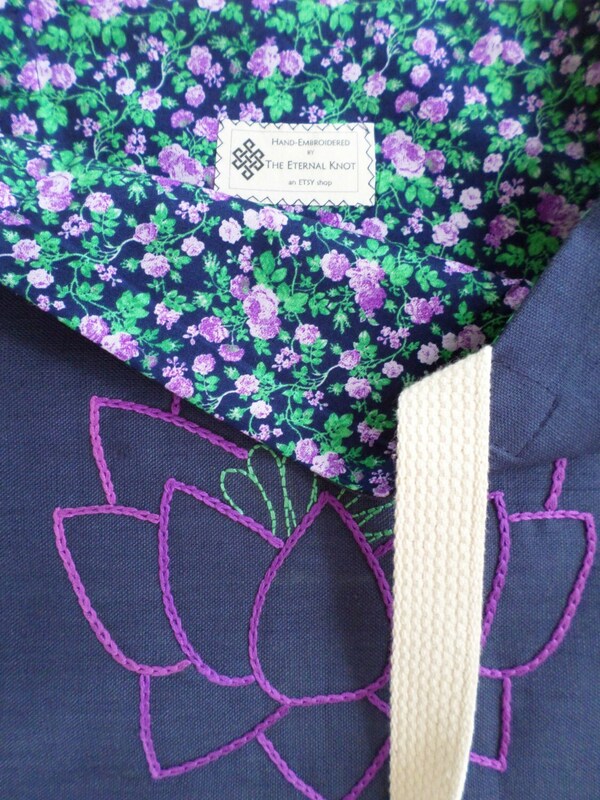 Lining: navy blue cotton fabric printed with a purple floral design. 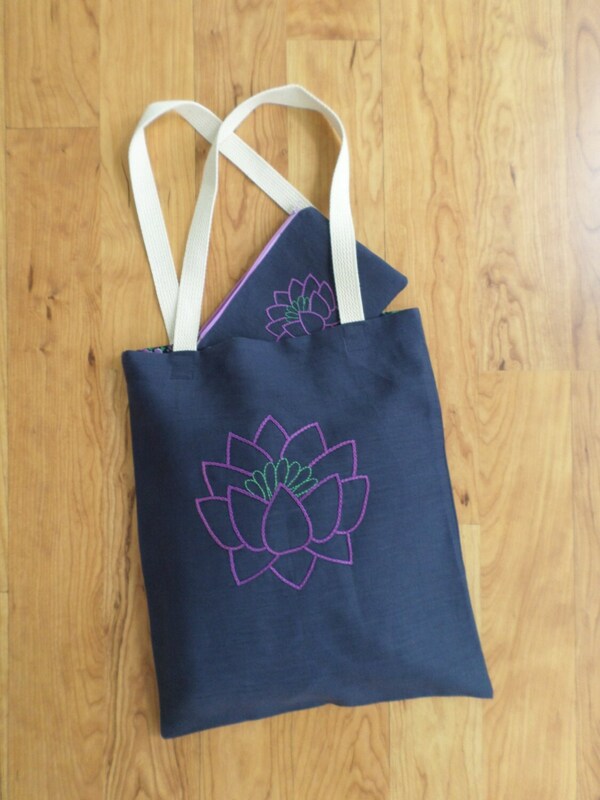 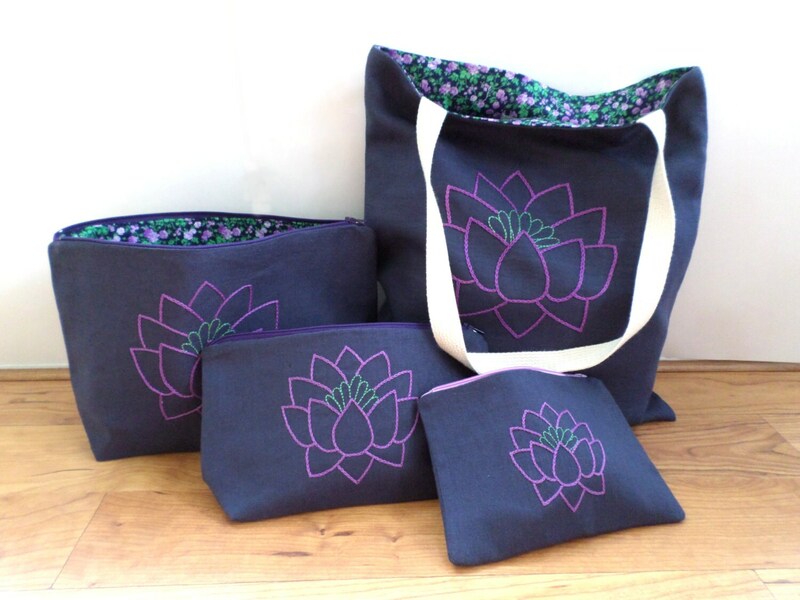 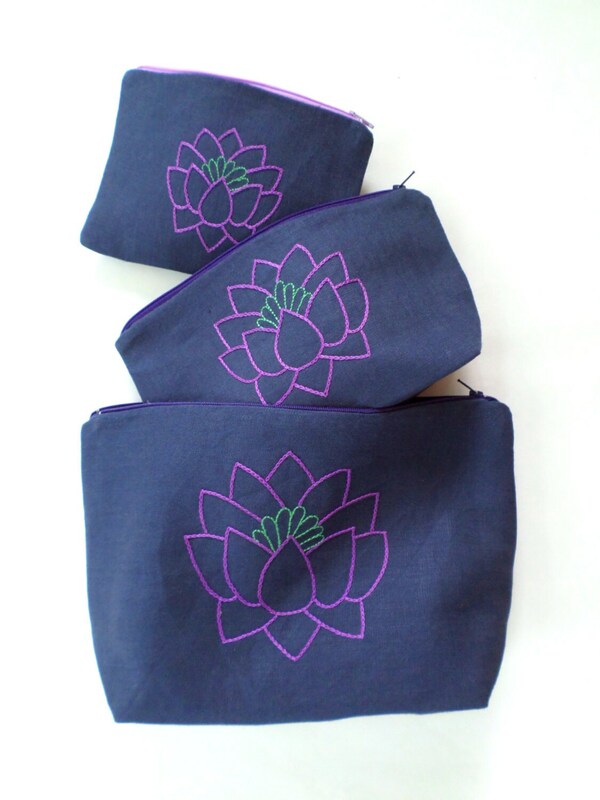 Design: Hand-embroidered with a purple lotus flower design.